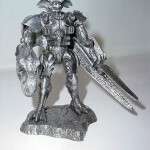 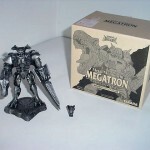 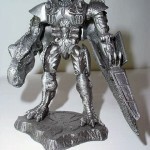 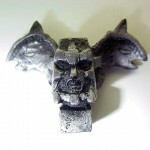 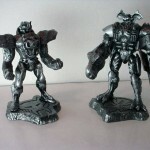 This die-cast metal statue of the Beast Wars leader Megatron was sold exclusively in Japan in 1999. 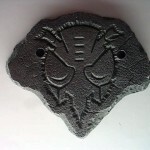 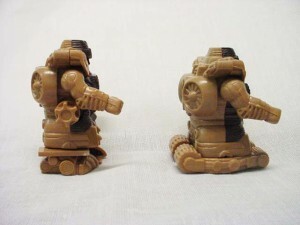 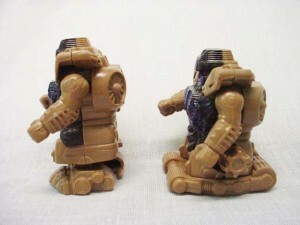 The statue’s copyright stamp reads both 1996, and 1997 Takara. 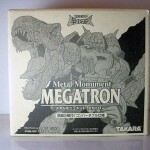 The statue came packed in a box printed with original character art by Hirofumi Ishikawa. 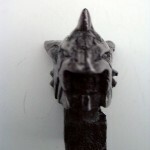 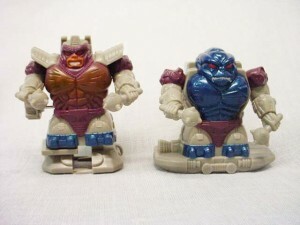 The box includes one statue, one base, and two interchangeable heads to illustrate the original ‘Mutant Head’ feature of the character’s toy counterparts. 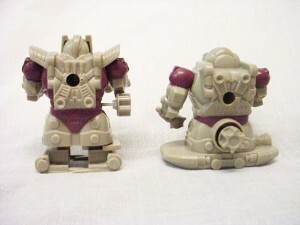 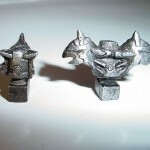 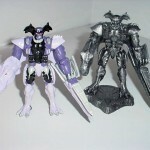 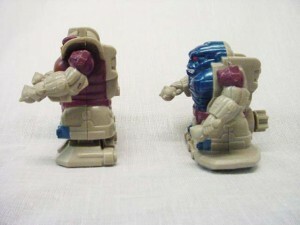 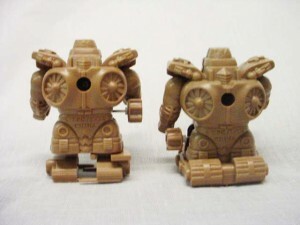 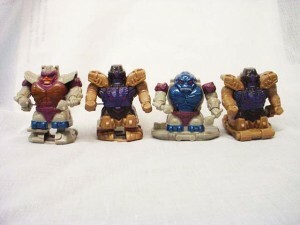 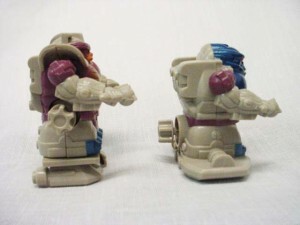 These wind-up toys were released by Kabaya in Japan during the airing of the Beast Wars Metals television anime in 1999. 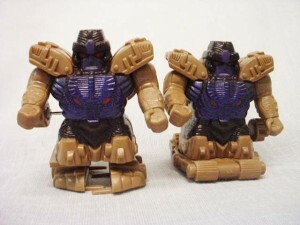 There are 4 versions available featuring SD Versions of our favorite Transmittal Leaders; Optimus Prime robot mode, Optimus Prime beast mode, Megatron robot mode w/ feet, and Megatron robot mode w/ skates.